Squee! Valentine's Day is just around the corner, and there's nothing we love more than days devoted to love. Why not stay home with your sweetie, curl up on the couch, and mix-up this sweet concoction? 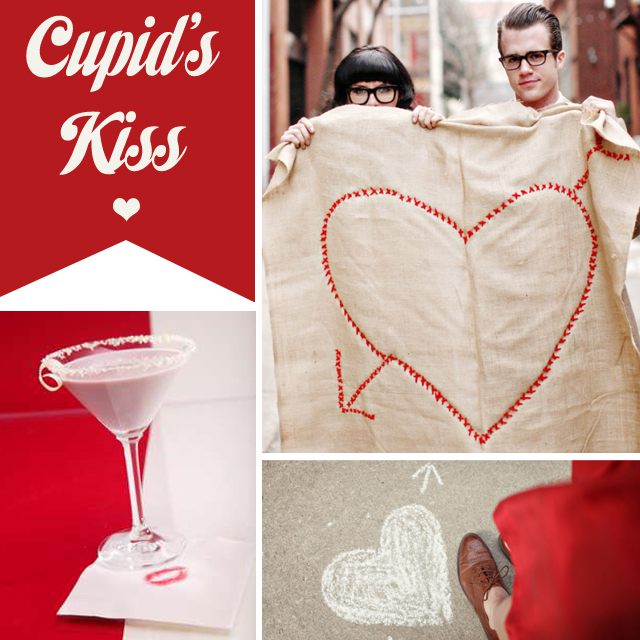 WARNING: Drinking Cupid's Kiss may lead to Valentine's Day shenanigans! What are you doing for Valentine's Day? Shake with ice and strain into a white chocolate rimmed martini glass.